Chris spent part of the afternoon fixing a leaking faucet. 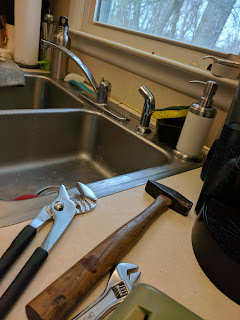 The faucet was so old that the set screw was stuck and stripped, which made the whole process more intense than normal. I played a lot of Zelda in various places all through the house. 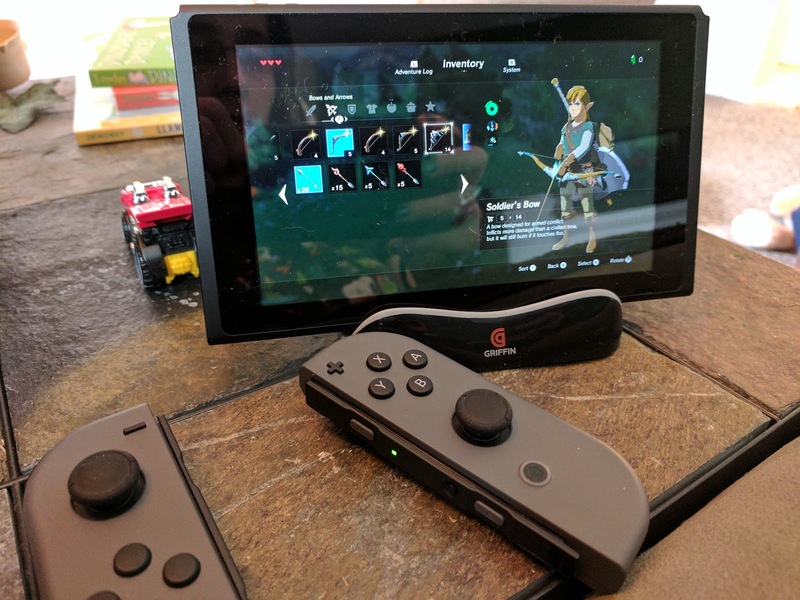 The portability is really nice. 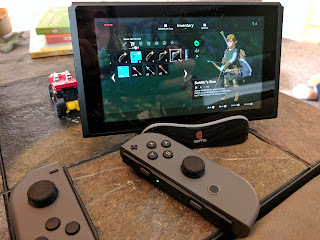 And being able to play with a joy con controller in each hand as opposed to a traditional game controller has been pretty good for my tendonitis. I've only barely started to feel some irritation in my left arm and that's after several hours of playing on and off all day. Quinn enjoyed watching and playing a little as well, although he napped on and off quite a bit again today.